Since temperatures are expected to drop rapidly overnight, there's a chancethat all the rain we received today may freeze and create hazardous road conditions. If you're planning on heading to the shop on Friday morning, please give us a call at (610)900-4700 to make sure we're open. We'll be sure to update our website (www.the-quiltedcrow.net) and our Facebook page (located HERE) if we decide to close. Join us for fun, fellowship, and of course, prizes! 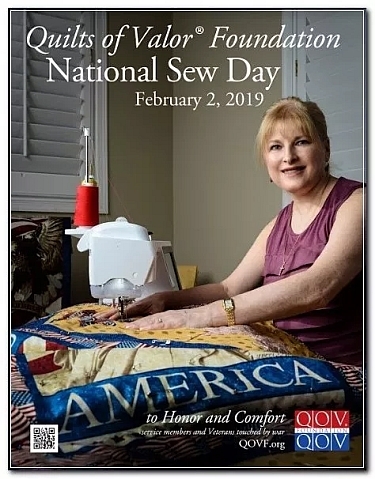 The Quilts of Valor foundation is having their 6th annual National Sew Day and you are all invited to participate in this patriotic cause. You do not have to be a memberof Quilts of Valor to participate in this event, and registration is free! There is no charge for this event, but we recommend you bring your lunch if you decide to participate all day. 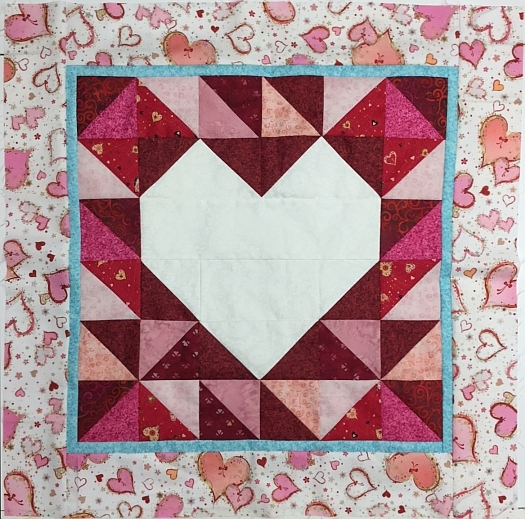 No fabric to cut--we will supply kits!--just bring your machine and help us sew some blocks for a great cause. Can't make it in person? You can sew at home, but you must be registered to win prizes. To view more details about the event, please click HERE. You can also view the Facebook page of "The Quilting Crows," the local Quilts of Valor group which meets at the shop once a month, by clicking HERE. 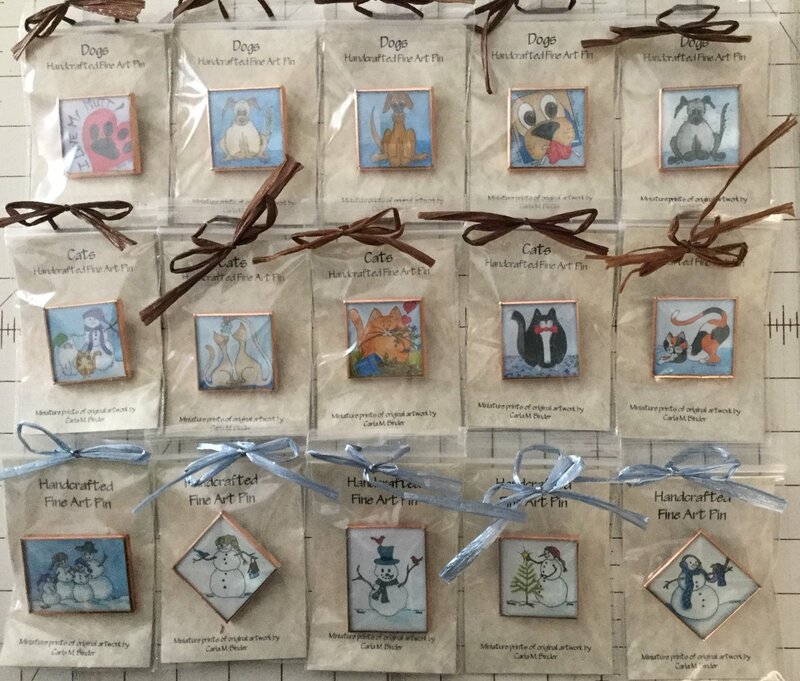 Lots of new dog, cat, winter scenes and various other pins are available in the shop now, be sure to check them out the next time you stop by! 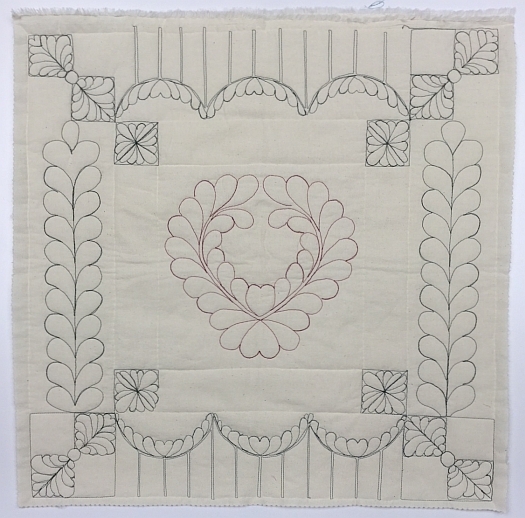 Just in time for Valentine's Day, kits to create this 26" x 26" Wall Hanging/Table runner will be available in the shop next week. Also, the additional red, cream and pink coordinating fabrics have just arrived today and will be featured in next in next weeks newsletter. 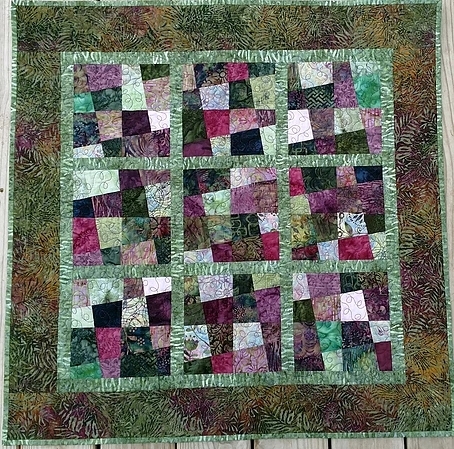 Make either 4 Patch blocks or 9 Patch blocks, then stack and slash them using Jody’s technique to make quick and easy quilts. This technique is a great way to use your fabric stash! The patterns feature this fun, new look in many sizes, and takes quilts from plain to amazing! Please note that there is pre-work required for this class. Also, sewing machine and rotary cutting skills are required. To sign up, please call the shop at (610)900-4700. 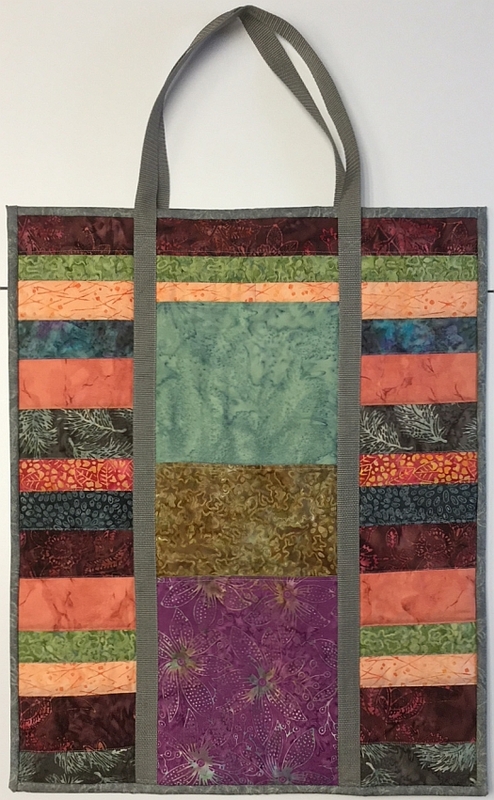 For those of you who have graduated from Cherie Troester ‘s Free Motion classes, or if you quilt with free motion techniques and want to learn how to make feathers and use stencils, this class is for you! This is a two-session course. In Class One you will learn how to plot and plan your feathers. 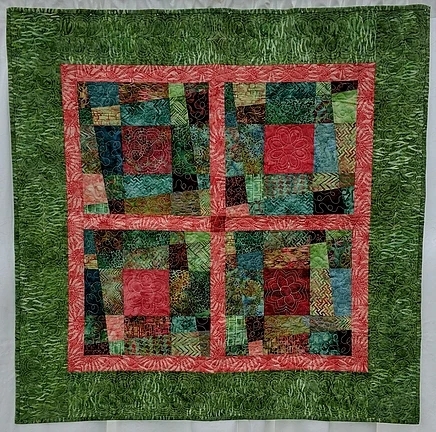 In Class Two you will learn to quilt your design. Please note that there is pre-work required. A Class Supply List will be provided to each student upon registration. To sign up for both classes online, please click HERE. If you'd like to sign up for Class One only, please call the shop at (610)900-4700. This bag, which measures 21” x 26”, contains many pockets and is designed to carry your rulers, mats and more! NOTE: This is a 2-part class on consecutive Saturdays and will be held at the Palmerton Library located across the street from the shop. Pre-work is required and will be provided upon class registration. To sign up, please call the shop at (610)900-4700 or click the image above to register online. Crow Sew - The next scheduled meeting at the Crow will now be on Wednesday, January 30th at 10am. Sewcial Guild -The next scheduled meeting will be on Thursday, February 28th at 11am. The guild meets in the upper floor Gallery of the Palmerton Library, across the street from the Shop. Elevator access to the upper floor is available. Quilts of Valor - The next scheduled meeting at the Crow will be on Thursday, February 28th at 2pm.